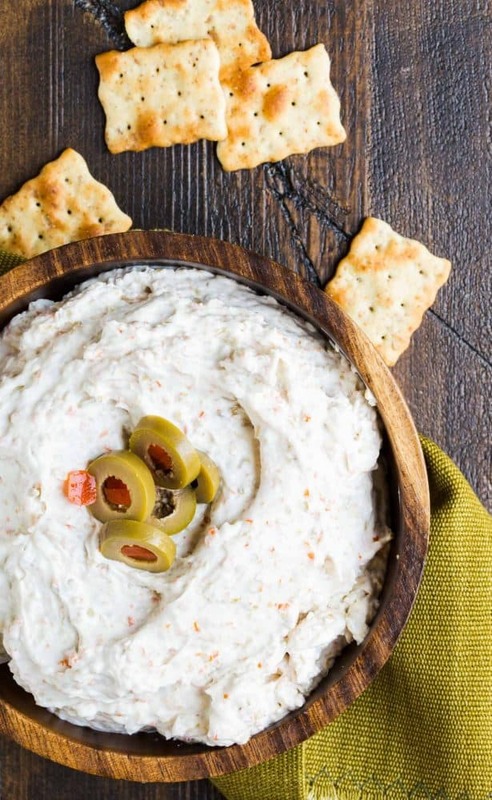 This tangy Green Olive Dip recipe is full of olives, garlic and onions – a quick and easy appetizer for any party menu! The first time I ate this Green Olive Dip, I fell in love. As I look back on it, the whole scene is quite embarrassing. 5 grown women eating this dip straight from the bowl, no plates in sight, just shoveling it in as fast as we could. It was so addictive that the only time I allowed myself to eat it was when my friend Kim would make it for one of our Book Club girls’ weekends. But then this year, our Book Club weekend didn’t happen, and I had no Green Olive Dip. So I did what any reasonable person would do and replicated it myself. The hardest thing about this Green Olive Dip? Waiting to eat it. It’s good right away, but once the flavors meld together for a few hours, you will be in dip heaven. But the true test for my version of Kim’s Green Olive Dip was Book Club. I hosted last week and served the dip along with a quinoa salad, a riff on this Heirloom grain salad and an apple dessert. Lucky for me (and you), it DID get the Book Club stamp of approval, and that says it all. Tip: You can easily substitute 1 teaspoon of onion powder for the 1/2 cup of chopped onion if you want a stronger onion taste. 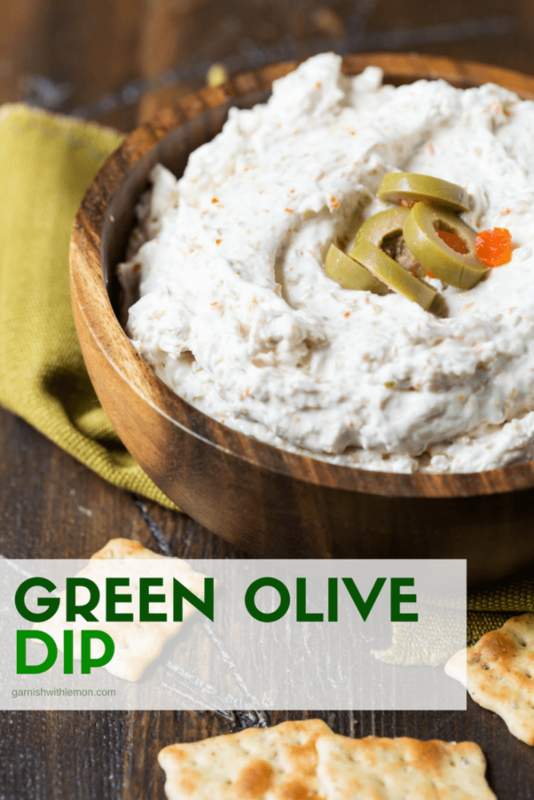 This tangy Green Olive dip is a quick and easy recipe that is always a hit at parties! 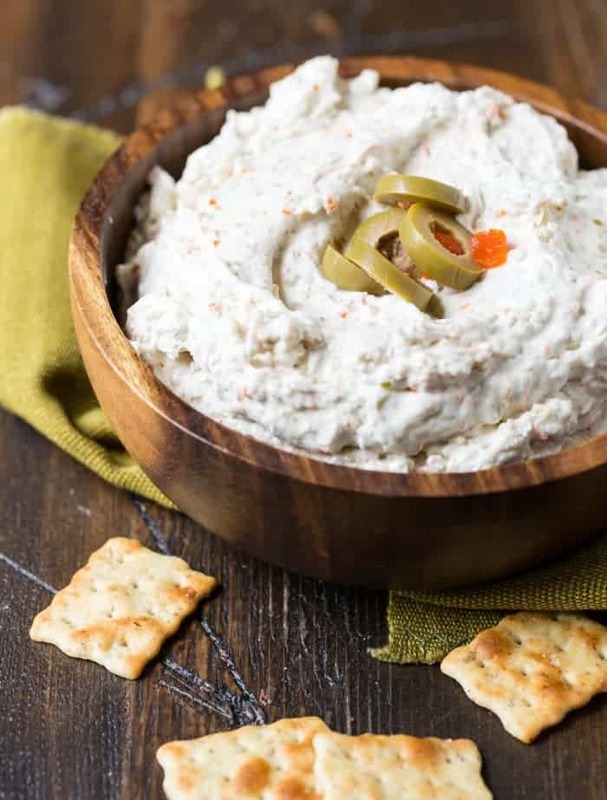 Combine the cream cheese, mayonnaise, onion, and garlic powder in the bowl of a food processor and mix until thoroughly combined. Add the green olives and mix thoroughly. Add 2 tablespoons olive brine and mix again. Add additional olive brine as needed to get to desired consistency. Omg Kim’s dip!!! I call it crack. Do you put the olives in the food processor to chop finely? Yes, when you mix them in the food processor they will chop into pieces. Pulse the processor until it is the texture you would like! Sometimes I add some sliced olives on top before serving. I added some salt and pepper too. Was really good. And didnt use a food processer but made everything room temp and finely diced the olives. I gave it 5 stars but whatever happened it seems to have gone out with less! Dang!